Trends that we like ! We (temporarily ?) 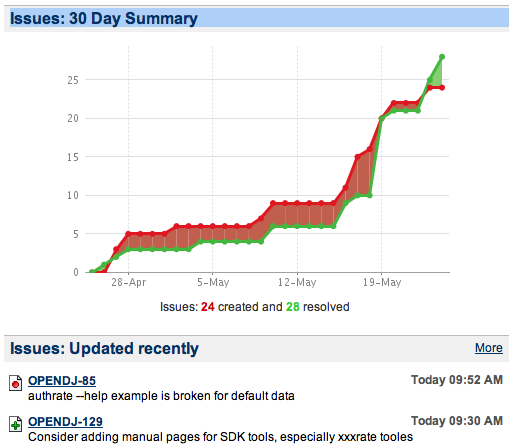 have a pretty nice graph of our bug trend, on the issue tracker page of the OpenDJ project. Kudos to Matt and Mark who’ve been really focusing on preparing two major areas of the project : the LDAP client SDK and the Core documentation for the whole project.